Took my wife's car to the Basingstoke branch of Chips Away on Wednesday to be met by Andrew Beeson. Verbal quote within 5 minuteswhich was quickly followed up by an emailed version within 30 minutes. Accepted quote and took car in today for the repair. Car ready for collection on time with the scratch gone completely and the ... Read more affected area looking like new. Andrew Beeson is to be congratulated for the very efficient set up and the high standard of repair. No hesitation in recommending to others who require repair. Just wanted to say how pleased I was with the work Andrew carried out on my car. Not only was the repair of a very high standard but the service for collecting and returning my car was excellent. Although I hope not to have a reason for another repair I would not hesitate to contact this organisation again and will certainly recommend you to friends and relatives. I would just like to say a huge thank you for the speedy, prompt and professional service I received on my Ford Fiesta car. I emailed him, a couple of weeks ago, to get some repairs done on my alloy wheel, and rear bumper, and within 2 days, my car was done excellently and speedily, he dropped the car back to my home address, and I ... Read more must say, it looked excellent. I am so pleased; I did not have to worry about a thing, brilliant service. I know Andrew from previously, I have used him before on my other Fiesta I used to have, and I want to say on his behalf, he is a credit to your company, a very caring man, and showed true honestly to me at all times, can you please ensure this goes on Andrews file. I will definitely use him again in the near future. Andrew is the main agent for the Basingstoke and surrounding areas within Basingstoke. I live in Overton, which is just outside Basingstoke, and I could not get over how quick my car was sorted out! Thank you Andrew from me, and also his team which help behind the scenes, I appreciate how much work has to go into repairs on scratches/scuffs etc, he has saved me a fortune on if it had to go into a bodyshop, it would have cost me thousands. Thank you once again Andrew, and I am sure I will be in contact again with you in the near future; you truly are a credit to ChipsAway. Top notch. Superb repair, great communication & service generally at the Basingstoke branch. Highly recommended. Took my car to Andrew Beesson in Basingstoke after having my rear bumper scraped in a car park by persons unknown. Then I had a scrape on the front wing. They did a brilliant job on my Chevrolet Cruze very pleased with the result. Would definitely use them again. Nothing personal hope I don’t have to. ???? The guys have just repaired a crack in the bumper of my Mercedes and I can’t praise them enough! Brilliant job, saved me having to spend about £1k on a whole new bumper and now you just can’t see it was ever cracked! Super clean job. Would highly recommend. Second time I have used this franchise for my Mercedes. Excellent job on my dents, scrapes and scratches, paint work match first class. Will certainly help maintain the value of my car. Sent a pal here who was also happy with the work on his Nissan. Much cheaper than taking it to a main dealer. They advised they could have plastic ... Read more welded my cracked front bumper damage and repainted for £400 rather than the £1000 I paid Mercedes for a new one! Lesson learnt! All prices and work required quoted upfront and adhered to. I have just had my front bumper repaired as it was scratched on a wall. ChipsAway have done a brilliant job, the repair is unnoticeable. The service was very good, polite and friendly. 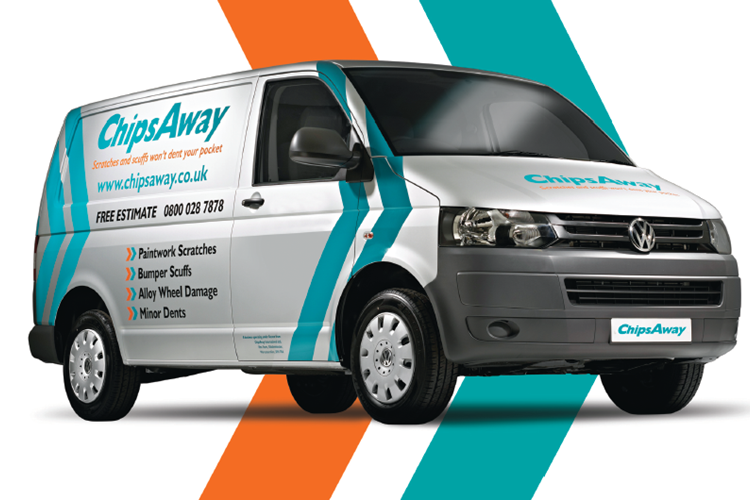 I would recommend ChipsAway Basingstoke to all! Good and prompt service. A major scuff on my BMW bumper was completely cleared and the paintwork matched perfectly.